MADRID (Sputnik) - Oriol Ciurana and Marta Llorens, members of the leftist Popular Unity Candidacy (CUP) party, who were arrested in Reus for allegedly "instigating hate" against Spanish law enforcement officials, were released on Thursday, a Catalan court said. Ciurana and Llorens were arrested on Wednesday after reportedly avoiding testifying twice before. "Both of them are free as the only aim of their detention was testifying in court," the court noted. The councilors refused to give testimony during a court hearing earlier on Thursday. On their way out of the court building, Ciurana and Llorens were greeted by several dozen supporters, according to a video, published on a Twitter account of the CUP's Reus city office. "We will be rising up to continue fighting," Llorens said. The Spanish national police filed a lawsuit as the councilors signed a manifesto demanding law enforcement officers leave Reus after October 1, when Catalonia held its independence referendum. Following the referendum, the Spanish Prosecutor’s Office asked a court to place under arrest eight former members of the Catalan government without the right to bail, only releasing on bail the Catalan government’s former business adviser, Santi Vila, who resigned before Catalonia’s proclamation of independence. The officials were charged with rebellion, sedition and the misuse of public funds. Catalonia held the independence referendum on October 1, with more than 90 percent of the voters backing the independence. 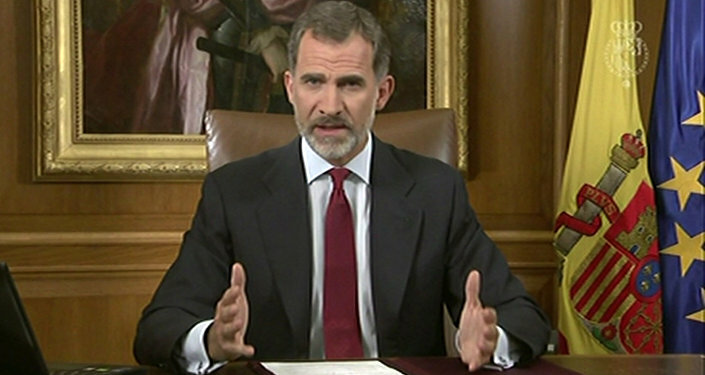 However, the referendum wasn't recognized by Spain’s central government.